At the end of each year, the Society invites leading design professionals to judge the work of their peers. During three days of judging, top art directors, designers, photo editors, and editors view and discuss thousands of entries in hundreds of separate categories. This rigorous process produces a show composed of less than ten percent of the entries, representing a unique yearly overview of the quality and direction of editorial design. Industry Party of the Year, attended by the top creative talent, the annual black-tie awards gala is the highlight event of the year. 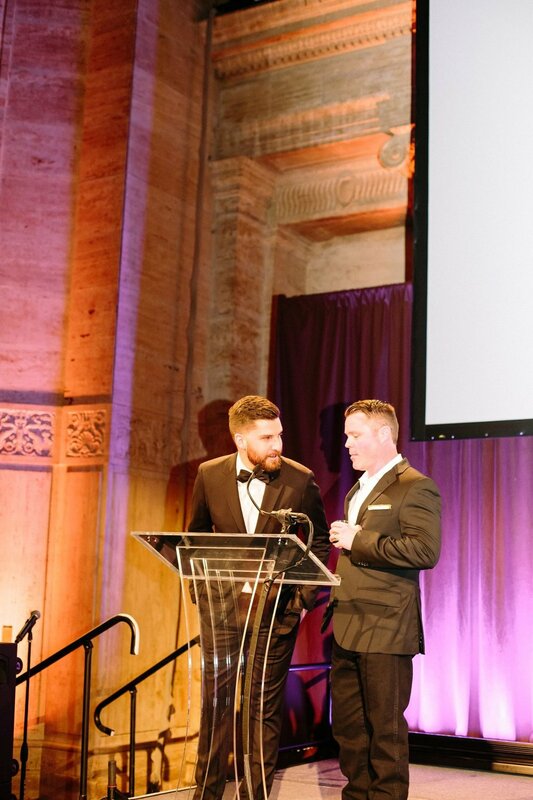 Hosted in the spectacular Cipriani ballroom in the Financial District of Manhattan, the SPD Gala is the perfect showcase for the best design work of the year. Throughout the year, the Society highlights different aspects of the design profession for our members and interested guests; recent seasons have covered everything from typography to illustration and photography, and even sneak peeks behind the scenes at magazine startups and redesigns, and a panel discussions. A full-color, beautifully printed hardcover book reproduces the winning pieces in the show, and is an invaluable resource for anyone working in editorial design. The Annual is perhaps the most widely used creative reference tool in the industry, displaying the outstanding work of editorial photographers and illustrators along with art directors and designers. You can purchase past issues in our shop.